Gaming at online casinos is more convenient than ever because of the number of sites out there. 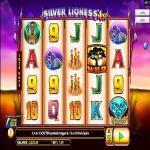 These casinos sites also diversify their gaming selection, meaning that there are new titles to try out all the time. Finding numerous online slots or blackjack games with a live dealer is simple by visiting some of the best online casinos. However, players should understand that online gambling is meant to be fun and not a means for generating income. Even with the allure of winning progressive jackpots or large payouts, it’s important for the player to manage an online casino bankroll. 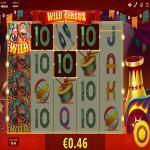 There are certain steps that can be taken to moderate spending and enjoy casino games online. Managing a bankroll is a vital step for any online casino player. The bankroll management strategy fits into allowing the player to enjoy gaming longer and not make as many risky decisions. Management of a bankroll limits the amount of risk taken at one time and also contributes to controlling deposit amounts. The loss incurred from playing casino games will be minimized and the player can gamble responsibly. Adhering to bankroll management is an excellent way for players to track their winnings and avoid excessive gambling habits. All players should decide on the starting bankroll, or an acceptable amount of funds to be deposited into a real money account. The idea is that a set limit is placed when the player initially makes deposits and that the amount is not exceeded. Players can prevent themselves from spending more than what they can afford at any online casino. Setting proper stakes will play into managing the bankroll as well. An example would be finding the right online blackjack tables with lower buy-in amounts that work with a bankroll. Playing dozens of smaller hands at the table will be more enjoyable then blowing an entire deposit on just a few rounds. If a player starts with a small deposit amount at online casinos, only that specific amount should be used until it is gone. Any winnings resulting from playing casino games should be considered separate from the original bankroll so players can understand if there is a profit or loss. Even when ending up on the plus side, the player should only use the original bankroll amount for the next round of gaming. The house advantage will catch up with players eventually. It is impossible for an online casino player to win every time, all the time. Loss of deposits is a part of playing at gaming sites and should be factored into bankroll management. The players can have the best strategy in the world and hit a lucky streak, but there will still be losses intertwined in the time spent at online casinos. Winnings should simply just be set aside, and the resulting gaming sessions will be a lot more fun. With good bankroll control and smaller bet amounts, players are much more likely to enjoy their time. The idea is to be entertained and gamble responsibly.